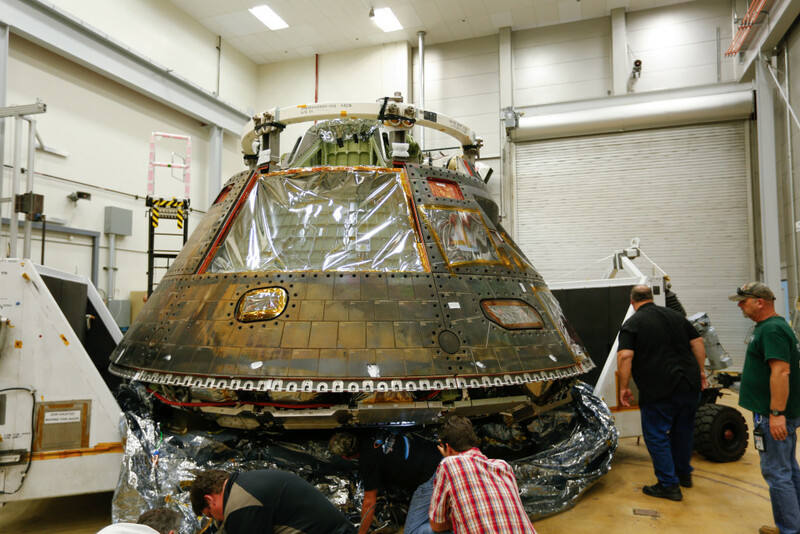 September 1, 2015 – The Orion capsule used during Exploration Flight Test-1 has arrived at Lockheed Martin Space Systems Company headquarters in Littleton, Colorado. While in Colorado, engineers will perform final decontamination on the crew module, continue post-flight analysis of select components, and evaluate a new acoustic technology called Direct Field Acoustic (DFA) testing. 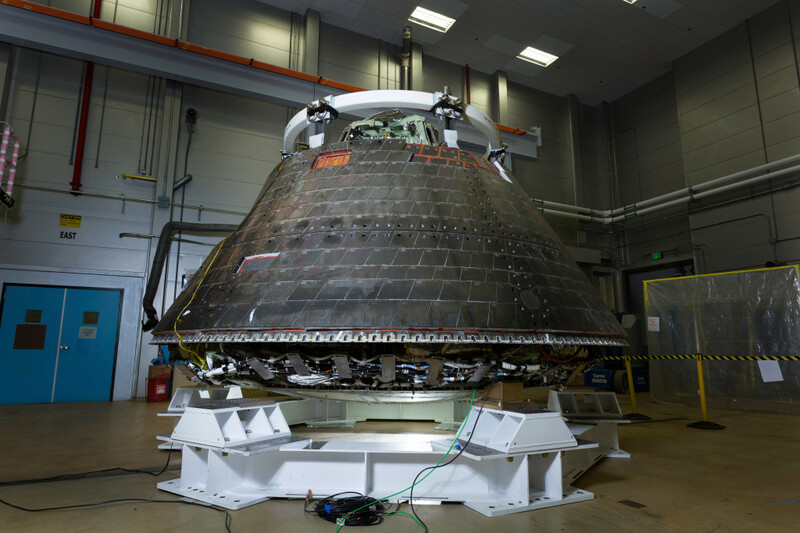 The evaluation of DFA testing will determine if the method can produce enough energy to simulate the acoustic loads Orion will experience during launch and ascent on the Space Launch System (SLS) rocket. Customized, high-energy speakers use a specific algorithm to control how much energy reaches the vehicle. The speakers will be configured in a circle around the vehicle. The amount of speakers needed for the test will fill up three tractor-trailers. The testing is expected to conclude in early 2016. If the method proves to be an accurate representation of SLS launch and ascent acoustic loads, it will be used to evaluate and verify Orion’s ability to withstand those loads during its next mission, Exploration Mission-1 (EM-1). EM-1 will be the first test of the fully integrated Orion and SLS system. The mission, expected to launch in 2018, will send Orion to a distant retrograde orbit around the moon.